Hearts of Oak last Friday filed a motion at an Accra Hight Court asking it to enforce the decision of the Arbitration Committee that presided over the transfer of Charles Taylor from Hearts to Asante Kotoko. 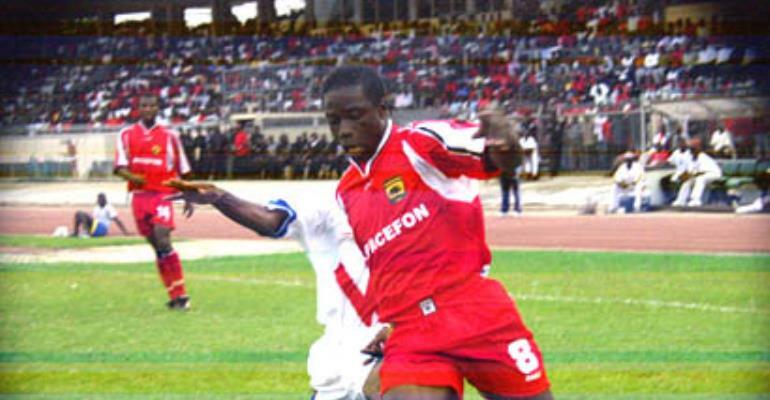 This follows the dispute relating to Hearts' share in the transfer fee of the player from Kotoko to another club, as evidenced by a raging controversy over the matter. Hearing of the case has been fixed for Friday. Hearts, in the motion, are seeking leave of the court to enforce the decision of the Arbitration Committee to enable them recover 40 per cent share in the future transfer of Taylor from Kotoko to another club. The 2002 SWAG Footballer of The Year has been linked to a move to a Qatari club, following which Hearts have reminded Kotoko of their share in the transfer fee of the player. The matter has been in dispute recently after Kotoko suggested that Hearts, by their refusal to refund ¢650 million to the player and ¢200 million to the club, have forfeited their share of any moneys accruing from Taylor's transfer. The total ¢850 million represented fines imposed on Taylor and Kotoko after the GFA established that the two had committed acts that caused Taylor to breach his contract with Hearts, but upon further claims that there was no contract between Hearts and the player the GFA directed refund. Hearts have so far refused to refund the money and have also claimed that the issue has no bearing on their share of the player's transfer fee as opposed by Kotoko. In view of this, Hearts Board Secretary, Mr Ernest Thompson, said it was necessary to have the intevention of the court in settling the matter. Taylor two seasons left Hearts for Kotoko under controversial circumstances that were only settled by an Arbitration Committee that decided that in the event of the player leaving Kotoko, Hearts were entitled to 40 per cent of the transfer amount.